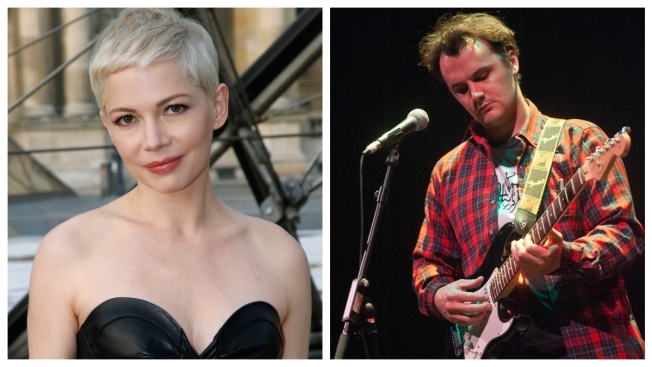 Michelle Williams revealed she's married musician Phil Elverum. It was surprise wedding bells for Oscar-nominee and "Dawson's Creek" alum Michelle Williams. The 37-year-old actress, who shares a daughter with actor Heath Ledger before his death in 2008, revealed she had wed indie musician Phil Elverum after a “very sacred and very special” ceremony in the upcoming issue of Vanity Fair. "I never gave up on love," Williams told Vanity Fair. "I always say to Matilda, ‘Your dad loved me before anybody thought I was talented, or pretty, or had nice clothes.’ Obviously I’ve never once in my life talked about a relationship,” she says, "but Phil isn’t anyone else. And that’s worth something. Ultimately the way he loves me is the way I want to live my life on the whole. I work to be free inside of the moment. I parent to let Matilda feel free to be herself, and I am finally loved by someone who makes me feel free." According to the article, the couple met through a mutual friend and married in a secret ceremony in the Adirondacks in upstate New York. The ceremony was witnessed by only a handful of friends and their children—Williams' daughter Matilda, 12, and Elverum's 3-year-old daughter.